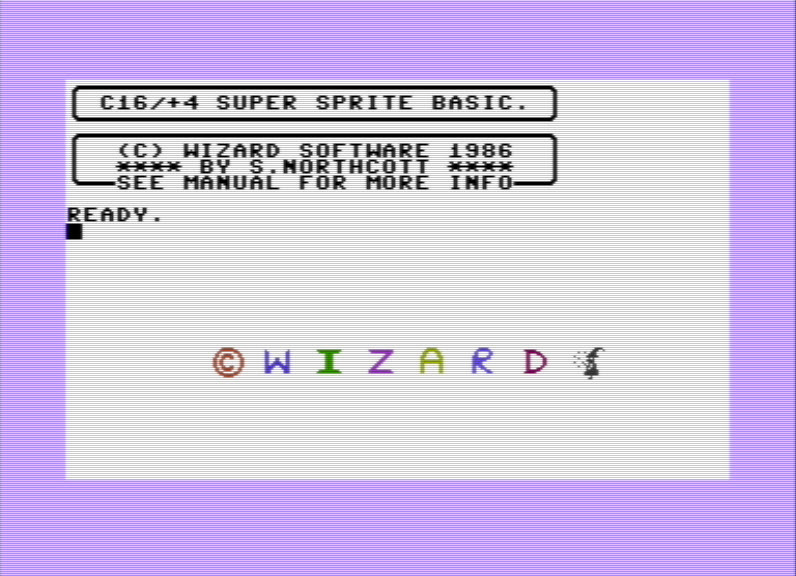 Super sprite allows you the control of up to eight sprites under BASIC control. Each sprite is 16 pixels by 16 pixels and can move over or under characters on the text screen. The sprites can be any one of the 121 colours available to you on the C16 / PLUS4. They can even be set to flash!! !